A mid day preparation meeting for Preparation: Foraging, Fermenting & Feasting with Tiff of Conscious Lifestyles. New born mushrooms from around the shed and wine to match. Nestled among the pines, in front of our shed, Mark and Maya of Magnolia Mountain hid two beautifully handmade terracotta qvevri. They are filled with our Sellicks Hills Shiraz, slowly and coolly fermenting away. One of the best side effects of having our littlest wine empire, is the people we get to meet. Friends near and far that we wouldn’t be able to come across any other way. Such was the case with Mark & Maya of Magnolia Mountain who make beautiful ceramics inspired by their adventures and lately approached us with an idea they had for a project. Pottery is a huge love of ours. We immediately fell in love with their wares and the way the wild Australian nature comes to life in everything they make. We were so happy for the opportunity to connect. 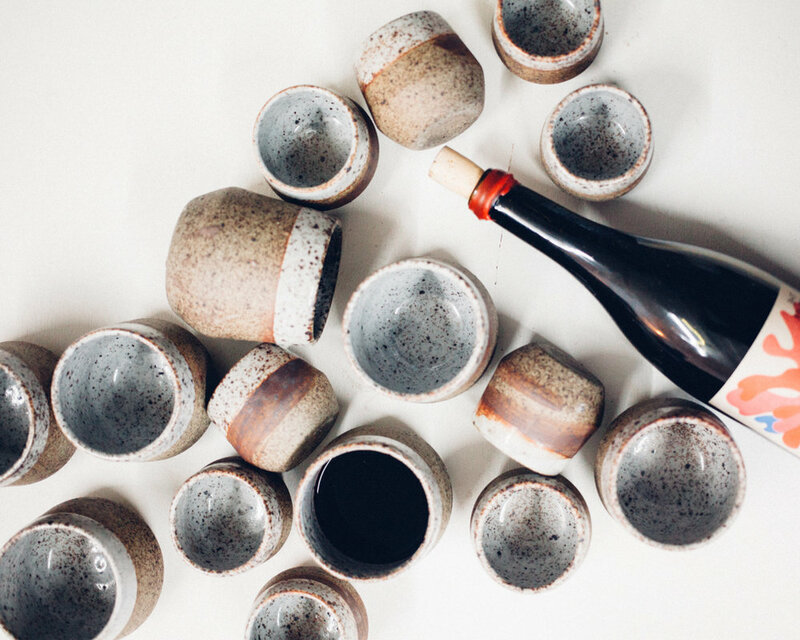 #Windfall is their latest adventures-inspired ceramics collection. Check out the diary that compiles so beautifully their inspiration and creative process << here >>. Thank you for the opportunity to glimpse into your world M&M! We’re so looking forward to future collaborations and meeting you face to face!